Home » #ArtsMatterNI, CAP, CAP News, News » Are further sector wide cuts on the horizon? Are further sector wide cuts on the horizon? Culture Night, the arts sector’s annual showcase, takes place on Friday the 22nd of September. As an advertisement for the scale of activities provided by the sector it is unparalleled, and by all accounts the 9th Culture Night in Belfast will have more events, more participating arts organisations, more artists, musicians, jugglers, dancers, magicians, actors, workshop facilitators, speakers, choirs, bands, DJ’s and will be conducted over a wider area of Belfast than previous Culture Nights. In the Arts Resource Centre, the home of Community Arts Partnership, our annual Poetry Slam and our family friendly workshops facilitated by our own community arts specialists will give people a flavour of the work the organisation delivers throughout the year. What most of the attendees of this year’s events won’t know is that everything they see, everything they participate in, listen to, experience, provided free of charge on the night, is put forward by a sector buckling under the weight of constant and debilitating cuts to funding. The last round of cuts took place only a few months ago when the Arts Council of Northern Ireland announced between 3 and 5 per cent cuts for most organisations in receipt of annual funding. What became clear then was that the two areas where the sector receives funding, the monies allocated by the Department for Communities to the Arts Council of Northern Ireland and monies allocated from The National Lottery, are both in decline. The sector is now in receipt of a severe reduction in the budget allocation than that offered only a few years ago. Northern Ireland spends less per capita, just under £5 per person annually, than our nearest neighbours. 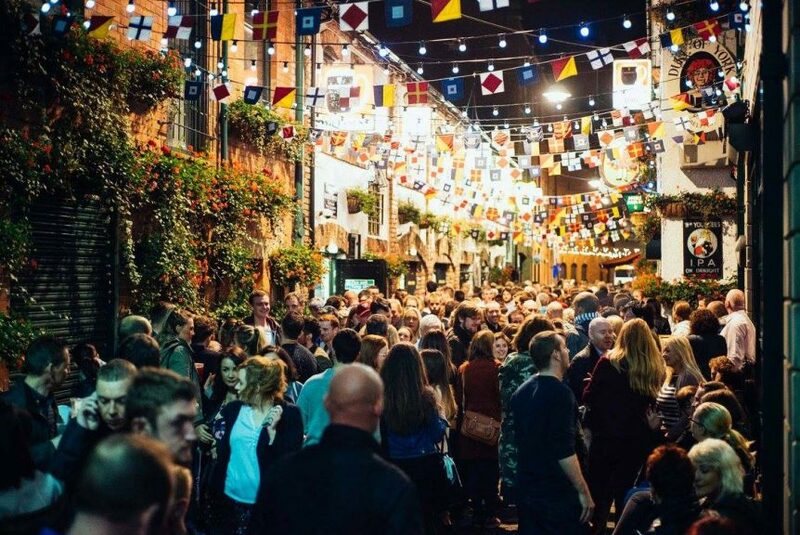 And as we prepare for our Culture Night Belfast extravaganza, we are now faced with the Department of Finance’s call for an “information gathering exercise”, announced only a few days ago. Government departments have been asked to ascertain what impact a 4, 8 or 12% cut to their budget allocation would mean. This most likely means that if and when a new executive is up and running, or if our administration is overseen by Westminster, the information would be available to allow for the drawing up of a budget which would implement a new round of swingeing cuts. And it is very likely, as has been the case in the past, the Arts would feature heavily in any reductions to public funding. And further reductions to a sector already close to crisis, will undoubtedly mean job losses, cuts to programming, reductions in opening hours, in some cases organisations will be forced to close and ultimately an event as essential to Belfast’s well-being as Culture Night will at some point in the future experience the impact of those cuts. In the hours after Culture Night concludes, when people reflect on just how magnificent the sector’s offer is, from pure entertainment, to the well-spring of creativity, educational attainment, health and well-being, civic participation, community development, raising Northern Ireland’s international profile, the tourist offer, which ultimately encourages investment and economic growth, all of which will have been in evidence a few hours earlier, the sector will be preparing for the struggle to ensure its survival. And all this will happen just days before submission of the joint bid from Belfast, Derry-Londonderry and Strabane, to become host of the European Capital of Culture 2023 and assert that our arts and cultural infrastructure can match and surpass any on these islands.